MORE THAN A NEW RANGE, THIS IS THE COMEBACK OF A LEGENDARY FAMILY! Developed on the expert advice of the F-Team members, the versatile Legend range is back in force this season! "AFTER MULTIPLE TESTS THROUGHOUT LAST SEASON, FROM FREERIDING TO ALL MOUNTAIN, MORE THAN 84% OF YOU HAVE ENDORSED OUR LEGEND RANGE!" The new-generation LEGEND skis and their Powerdrive and Active Air Core technology have created another milestone in skiing history by setting the gold standard for balance, smoothness, precision, manoeuvrability and lightness on all types of terrain. With its Powerdrive construction, the Legend X106 has stood out from the crowd over the years to become a legendary ski. 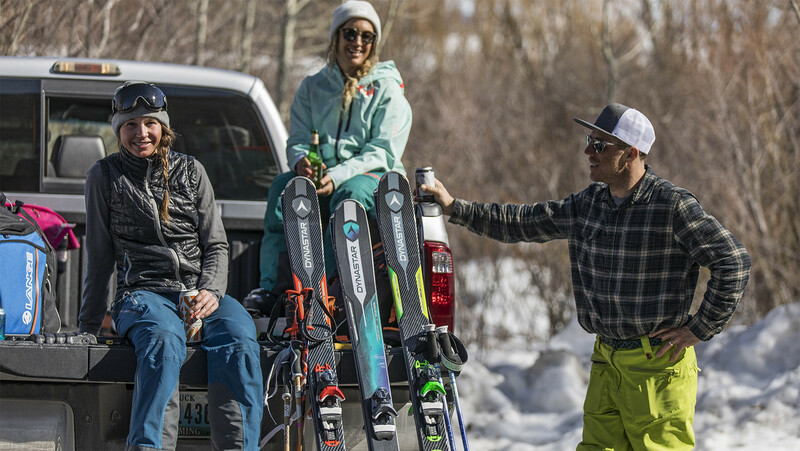 With a 94% satisfaction rate, this lightweight, high-performance ski is as renowned for its float/lift as for its stability and sustained speed. These two criteria have achieved an average consumer satisfaction rate of 4.8/5 respectively. "A real treat for fans of powder and wide open spaces. Very powerful skiing." "I had a great time trying out this highly versatile ski on crusted snow. It's also great on the piste on hard snow. It's easy, forgiving, lightweight and really multi-purpose without compromising on technicalities." Ever more lively, fluid and agile whatever the terrain, the Legend 96 skis continue to captivate powder and trail edge enthusiasts. All about agility, the Legend 96s are known for their easy turning and their ability to adapt to variations on the terrain, scoring an average 4.6/5 and 4.5/5 respectively. Thus, 94% of our skiers are satisfied with the Legend X96, and 92% of our skiers with the Legend W96. "Tested in Les Grands Montets on snow that fell the night before: great behaviour, very flexible, very enjoyable and very precise when changing direction. Skiing is easy from the outset and using them is instant fun." "They absorb and cope really well with irregularities on the terrain. Very lightweight and easy to handle, I can only recommend them."